When people think of amazing climbs, they think of scaling Half Dome in Yosemite or those commercials for pitons that show someone dangling by two fingers from a ledge. 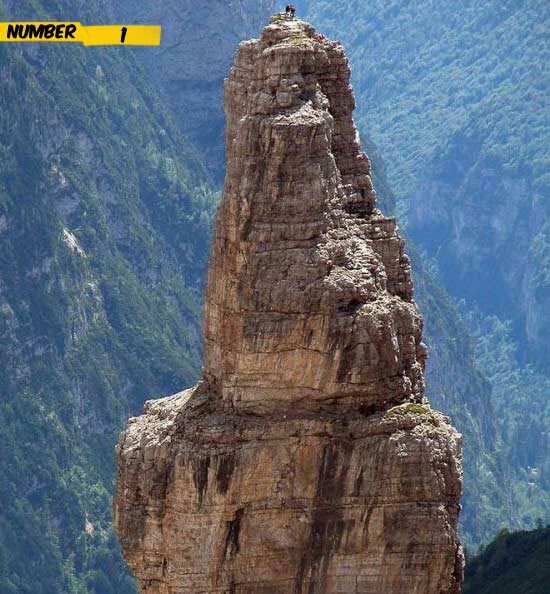 Those climbers are impressive, and the technical mastery and skill necessary to scale sheer rock faces is something that comes only after years of practice. Unless you’re a goat. 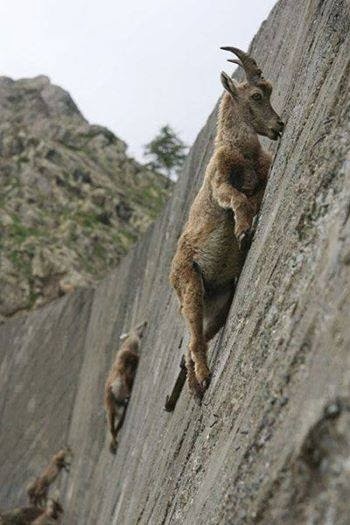 Goats are born with more technical skill than humans have in one pinky finger, and they continue to engage in increasingly bizarre and perilous feats of climbing that would put even the most weathered Everest veteran to shame. 1. 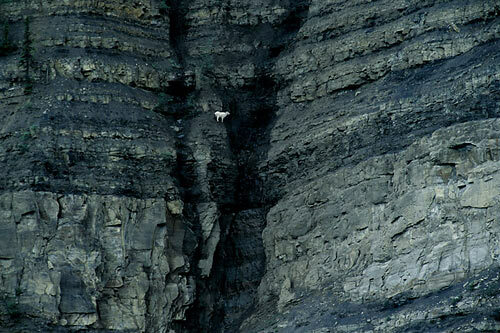 A mountain goat perches inside the Grand Canyon of the Stikine River in northern British Columbia. 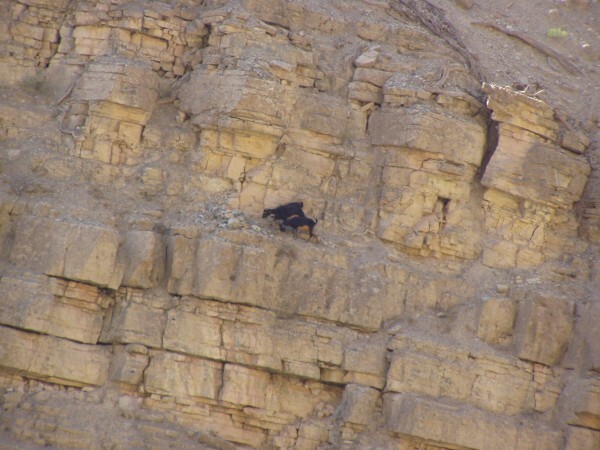 These goats, which live only in the canyon, use almost invisible paths along the walls to avoid predators. 2. The Dades Gorge in the Atlas Mountains of Morocco is a remote area full of unusual rock formations, and is home to both wild and domesticated goats. The valley that houses the gorge is also called “Valley of a Thousand Kasbahs” because the Berbers who lived there built a virtual forest of fortresses to protect themselves from invaders. 3. 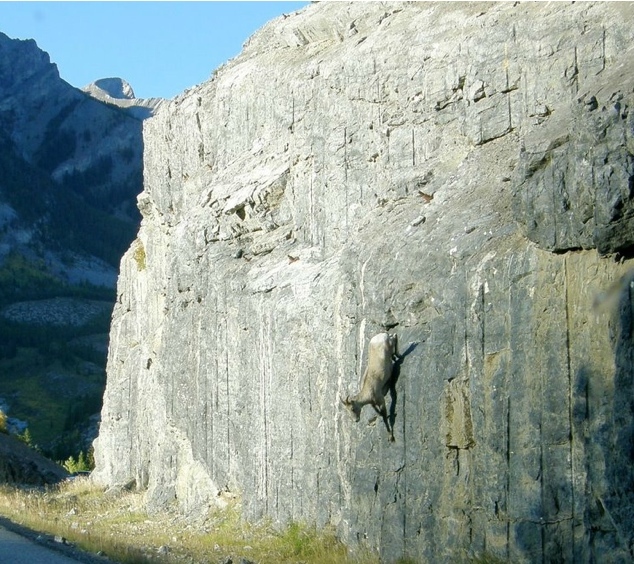 Although mountain goats were introduced to Utah, their comfort with the craggy and wild rock formations natural to the state make them seem at home there. Mount Timpanogos is populated with thousands of them, who are so used to human tourists that you can get close before they disappear over a ridge. 4. 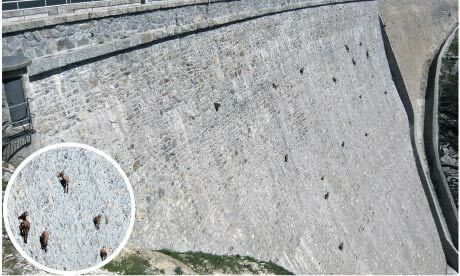 Alpine ibex goats live at high altitudes in the Alps, and are capable of scaling sheer cliffs…or this Italian dam, where dozens of them marched back and forth across the 160ft wall, licking the salt off the stone. 5. Goats in Uganda are more of a dinner food than a wild animal, but their natural ability to balance on delicate, tiny feet makes climbing across water jugs very easy. 6. While they can be friendly and inquisitive, goats are not the kind of pets that will cuddle in your lap or follow you around the yard, unless you have food in your pocket. But they are very playful and will happily amuse themselves. 7. Gimli Peak, in the Valhalla Range near Slocan, British Columbia, is a shark-fin peak. 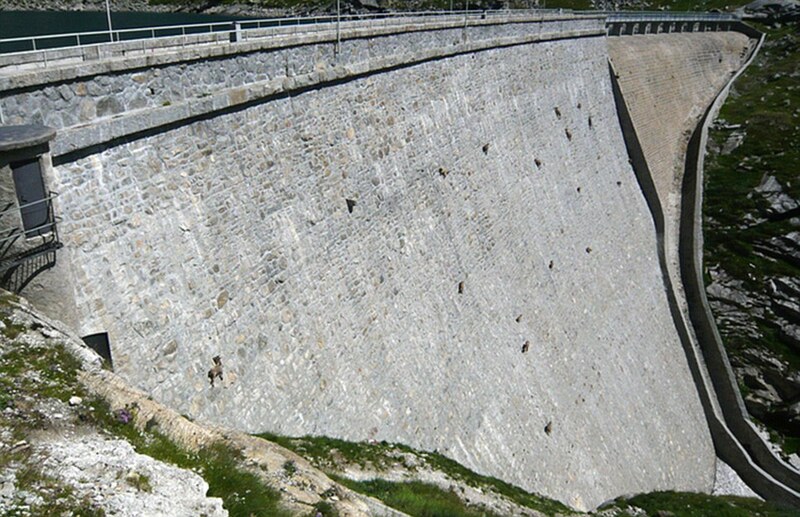 With sheer drops on either side of a narrow summit, it poses a challenge to even very experienced climbers…except baby goats. 8. Bighorn sheep can weight up to 300 pounds. 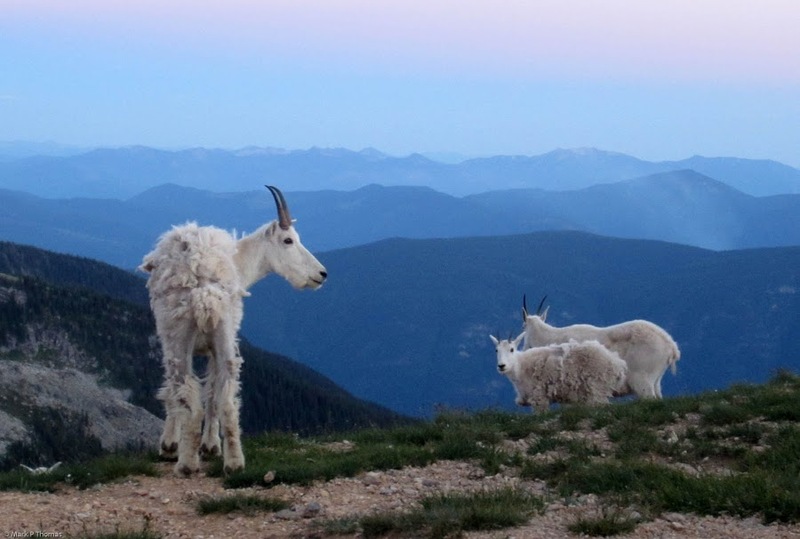 They live at elevations of 2500-5000ft in the summer, but can roam up to 8500ft in the winter. Their climbing abilities are based on their agile feet — they have modified toenails that allow flexible gripping, and soft inner pads similar to climbing shoes for humans. 9. 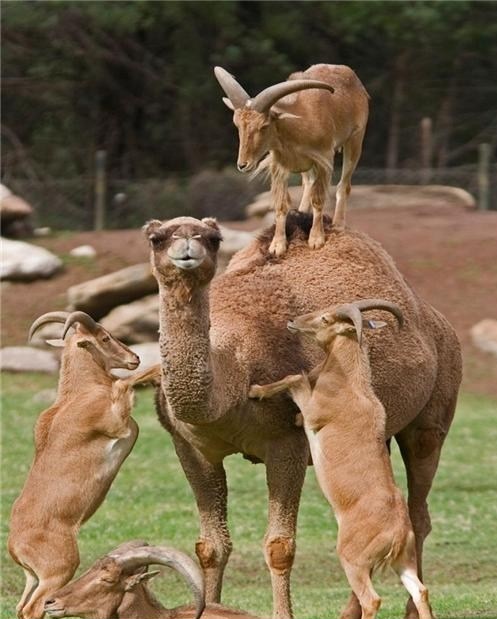 Camels and goats both belong to the same order: Artiodactyla. Animals in this group have uniquely shaped ankle bones, which give the foot greater flexibility and make climbing easier. 10. 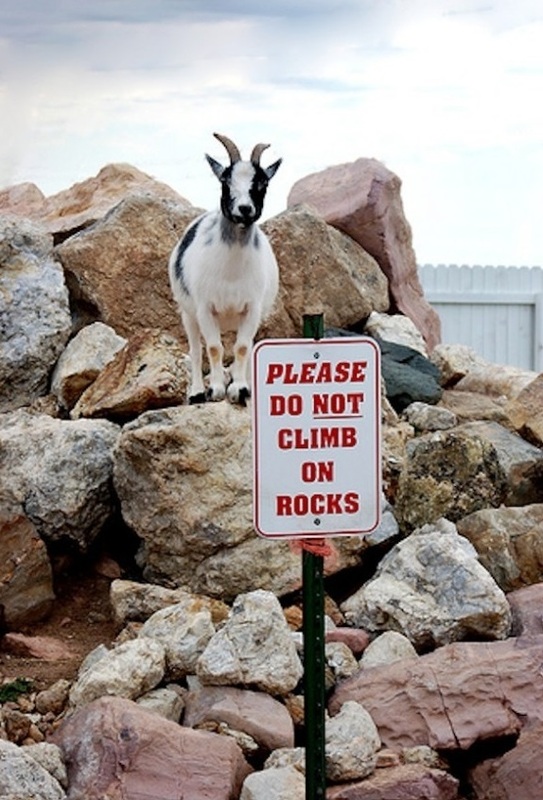 Goats are not known for their submission to authority. 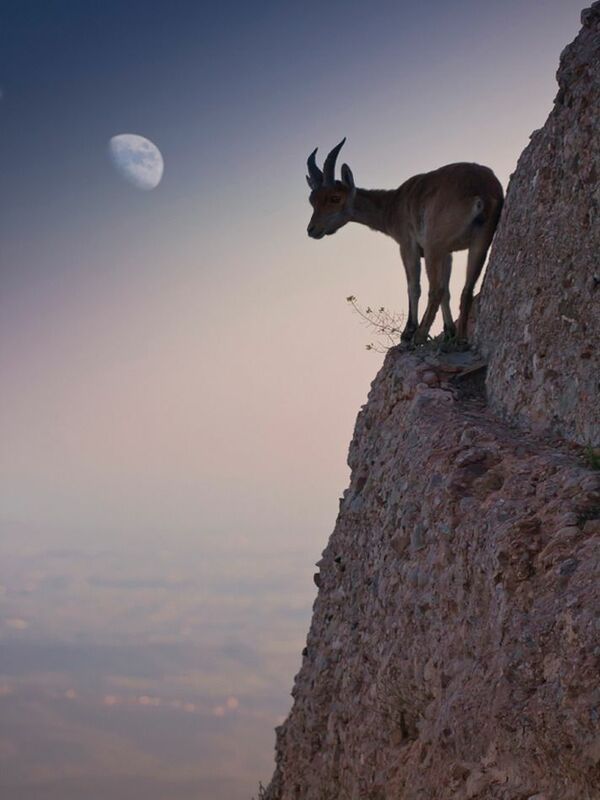 Because of their ability to scale walls, perch on almost-invisible ledges, and eat practically anything, goats come across as the original bad-asses. 11. 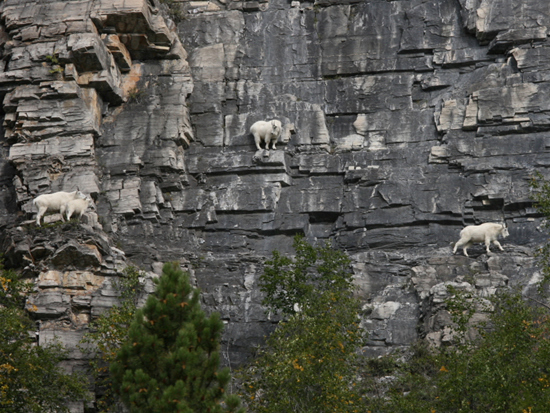 As well as climbing, mountain goats are also skilled at jumping. Babies will often play by jumping around and off each other, using each other as springboards. Yep, they’re in training from birth. 12. 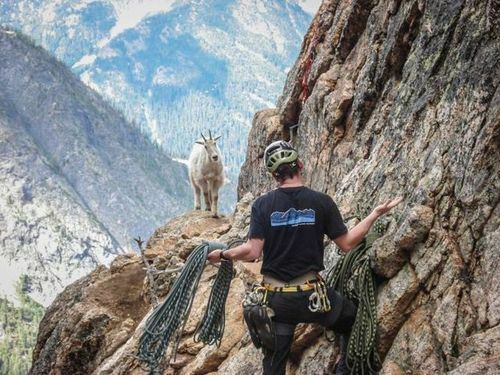 Goats are social, and will form small herds, which can also be called “tribes.” Everyone knows it’s not a good idea to go climbing without a buddy. 13. 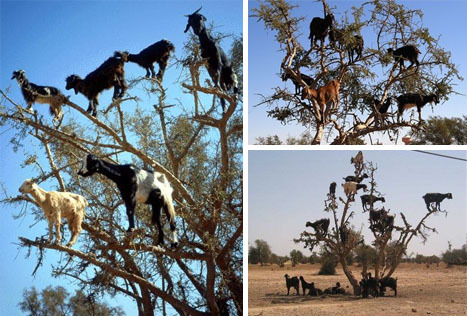 Goats in remote areas of Morocco will climb argan trees in search of food. Their droppings contain kernels from the tree, which are then washed and pressed into oil by enterprising farmers and sold to tourists. I wonder if they mention the “goat intestine” part of the processing? 14. 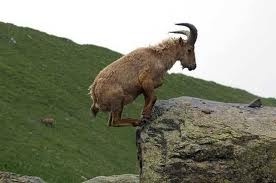 Goats have remarkable balance: their hooves are split, which allows gripping and spreading into even the smallest of spaces. You rarely find goats toppling over…unless they’re fainting goats. 15. Goats were domesticated around 7000-10,000 BC and appear in some paleolithic art. 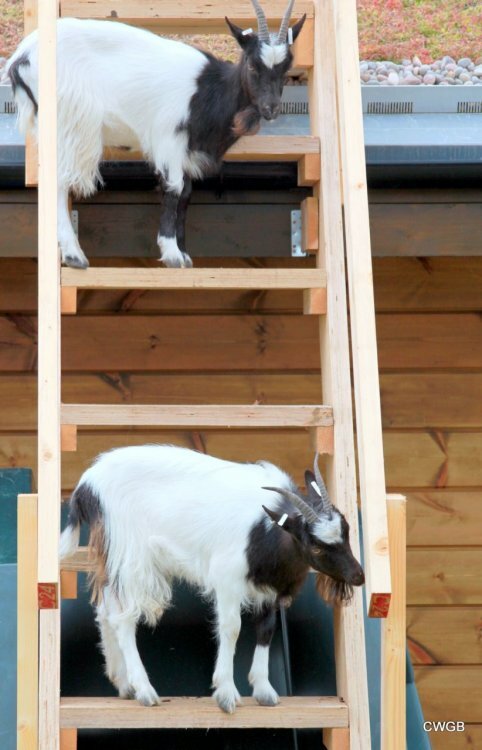 The natural life expectancy for goats is between 8 and 12 years, but they can live up to 15. 16. Goats, like octopodes, have rectangular eyes, which allows them to see in the dark. 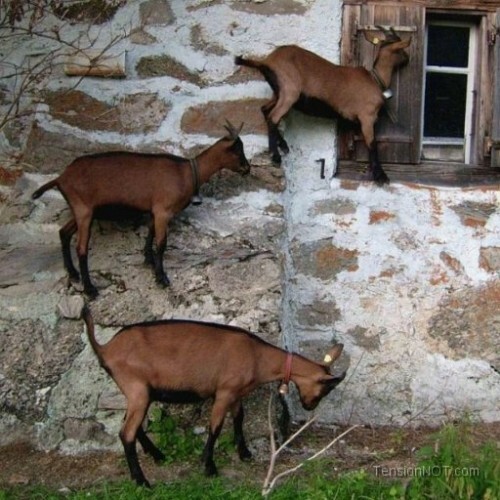 They are active both during the day and at night, which gave rise to an urban legend that goats do not sleep. 17. Goats do not like eating food that is soiled or has been on the ground. Maybe this is why they scale almost impossible heights to seek out browse (scrub grasses and plants). 18. Mountain goats have a wooly coat that keeps them warm at high altitudes. 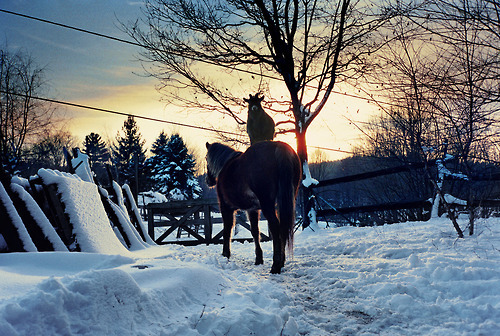 This coat has a double layer for extra insulation, which molts in the summer. 19. 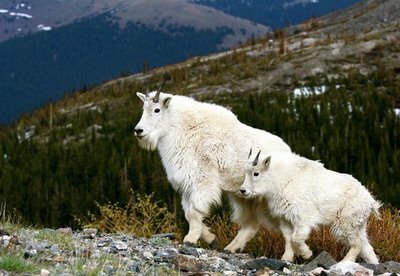 Mountain goat kids (babies) weigh approximately 6lbs at birth and are able to move around the rocks with their parents within a day or two. 20. 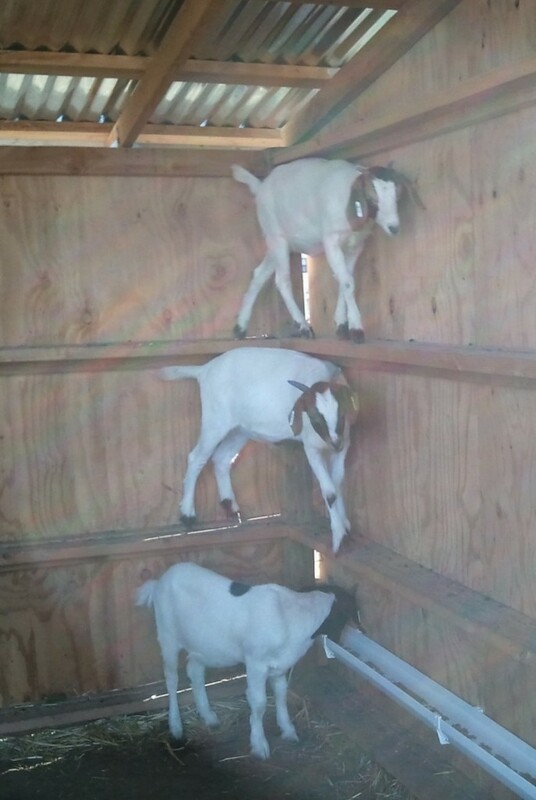 Domesticated goats are very smart and get bored easily; their natural inquisitiveness and climbing abilities often mean that farmers find them in unusual places around the barn. 21. 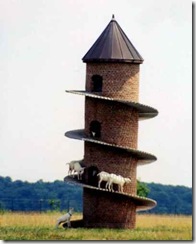 A farmer in Illinois built a castle tower for his 11 Swiss mountain goats, who didn’t have a natural formation to climb in hundreds of miles. His tower contains 5,000 handmade bricks and is, he says, the tallest goat tower in the world. Out of how many, we wonder? 22. 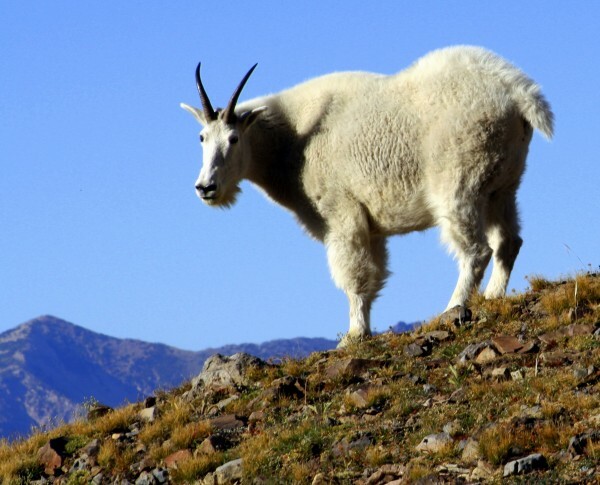 There are an estimated 100,000 mountain goats in North America. They mostly live in the Rocky Mountains and coastal ranges of the northwest, but can be found as far north as southwestern Alaska. 23. The larger the scrotal circumference of a male goat (called a buck), the greater his libido and fertility. 24. Bucks will sometimes charge when they feel threatened…which has happened to some unfortunate human climbers coming across them unexpectedly. 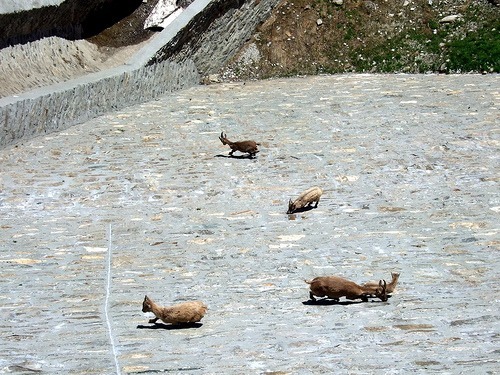 Mountain goats inhabiting highly trafficked national parks, though, are often so used to human guests that they will come investigate or hang out with visitors. 25. 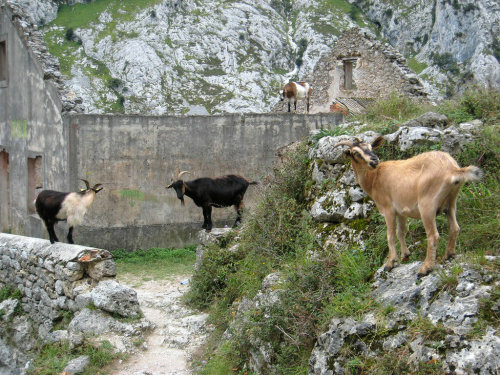 Residents of Sardinia, a rocky island off the coast of Italy, consume primarily goat milk rather than cow or sheep milk. 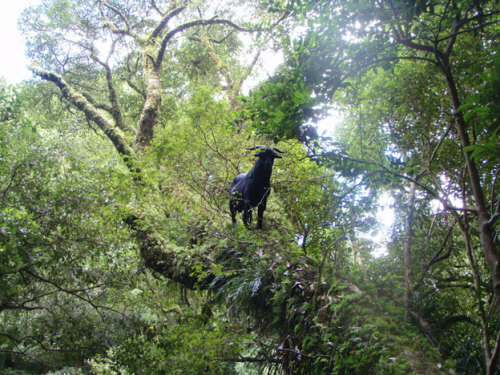 Goats on the island consume dwarf curry plants, which have been used in the US to make anti-inflammatories. Healthy goats, healthy people! 26. 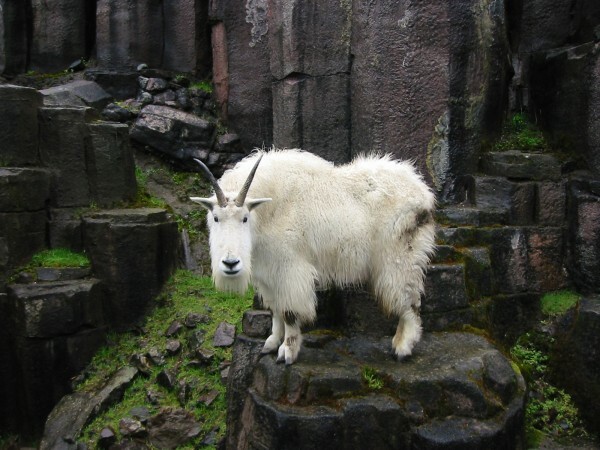 William de Goat was the mascot of the No. 609 RAF Squadron in 1941. 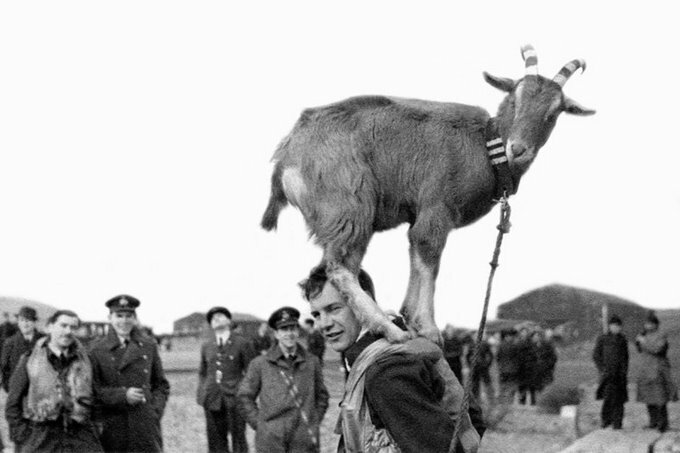 He achieved the rank of Wing Commander, which can be seen painted on his horns. 27. The story of “Three Billy Goats Gruff” is a Norwegian folk tale that shows goats’ keen intelligence when they trick a troll into letting them pass over a bridge without eating them. 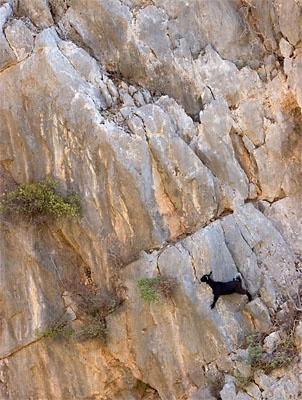 Goats are smart and resourceful. Enough said. 28. As ruminants, goats digest everything twice through a series of four stomachs, which has led to the myth that they will eat anything (including tin cans). 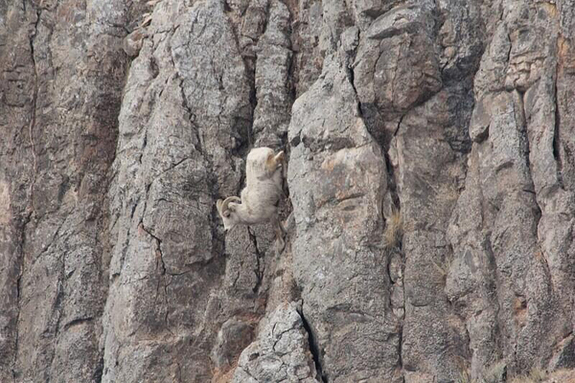 Hardy and capable, goats can survive on very little, but will go to great lengths to get food they think is tasty. 29. The Cares Gorge, on Spain’s northern coast, features an old hydroelectric maintenance track carved into the cliff face, high above the river. 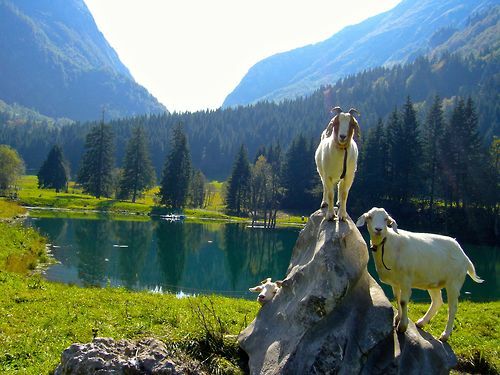 It is full of varying microclimates, and home to a wide variety of animals…including goats, who are unimpressed with the dramatic scenery. 30. 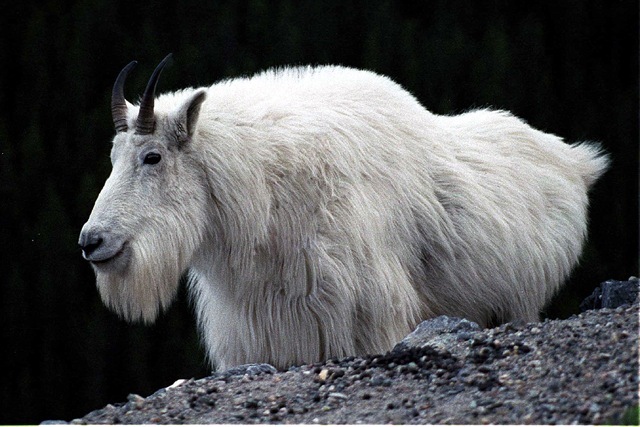 Even non-mountain goats adapt very well to cold weather; they respond to dropping temperatures by growing a thin underlayer of cashmere-like soft fur. Their hardiness and warmth makes goats excellent farm animals who will snuggle up to other animals…from the top down. 31. The London Telegraph reported that goats have accents. 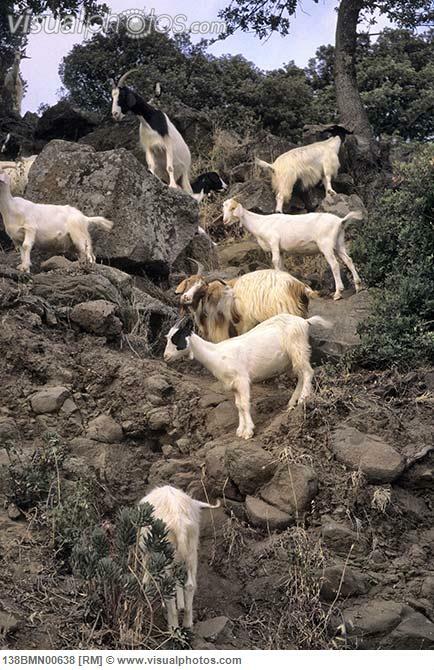 Their calls change as they age and move into different groups; goats in the same group sound more similar to each other as they spend more time together. Still not impressed? Have you heard them SCREAM? !